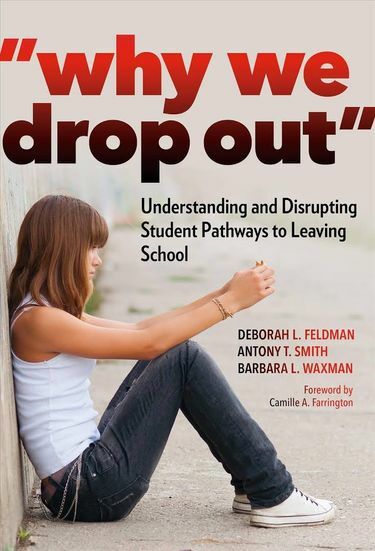 In ”Why We Drop Out,” authors Deborah Feldman, Antony Smith and Barbara Waxman dig deep into the reasons why students drop out of school. High-school dropouts are generally assumed to be problem kids who never liked school. Absolutely wrong, says a new book based on detailed interviews with 53 former students living in the Puget Sound area. The problem of high-school dropouts has inspired a pile of tomes seeking to dissect the causes and keep students in school. But the slim new book “Why We Drop Out,” based on interviews with 53 ex-students in the Puget Sound area, offers some surprising observations. The most poignant: Almost every one of them had once loved school. Yolanda, an avid reader, happily recalled raising chicks in an incubator. Xavier described his love for morning reading time and art class. Derrick was fascinated by looking at a frog beneath his microscope in seventh grade. Callie loved “everything about school” — until eighth grade. Educators tend to focus on three early warning signs — absenteeism, poor grades and behavior problems — recognized as precursors to leaving school. But with half a million kids dropping out nationally, authors Deborah Feldman, Antony Smith and Barbara Waxman suggest that it might be more effective to take inspiration from a more positive source, the last time most young people felt connected to learning — namely, elementary school. Feldman’s research included detailed testimony from nearly five dozen dropouts living in rural, urban and suburban areas, all of them between 16 and 22. Just over half were youths of color. And for each there was a moment, a tipping point that pushed them out the door — and could have been avoided. Taken together, these portraits belie the common stereotype of delinquents who don’t care about learning. To the contrary, the vast majority despaired as early academic frustrations went insufficiently addressed and the notion of themselves as learners steadily faded away. Step 1: Early feelings of discouragement, often around math. Step 2: “Experimental skipping” of a single class, usually run by a teacher seen as uncaring. About 30 percent of Feldman’s sources had left school within a year of this. Step 3: Serious truancy, where earlier skipping mushrooms into repeated class-cutting or entire days missed. Serious truancy was the major precursor to leaving school, and 70 percent of the youths interviewed fit into this “slow faders” category. Step 4: Continuous unexcused absences for at least a month, defined by these authors as dropping out. Education Lab interviewed Feldman to hear more. Q: You write that the majority of your subjects started school on a positive note. What happened? A: When children move from elementary to middle school, they no longer have that cozy sense of one class, one teacher. Many of the young people we interviewed said they’d felt overwhelmed by this. Most important, whatever tutoring or other support they’d had in elementary school disappeared. There’s an economic aspect to it. All but one of the 53 youths we interviewed had no access to personal tutoring. It had been provided in elementary school and occasionally in middle school. But by ninth or 10th grade, it was gone. In middle- and upper middle-class families, you hire a tutor. Q: Was there one particular aspect of middle school that threw them? A: Yes, math. It was really startling. Large numbers reported that they just were flummoxed by math as it was presented, particularly algebra. Look, lots of kids hit bumps in the road. It’s what happens around those bumps that makes the difference. Families with more resources are just better positioned to get their kids over the hump. In the interviews we’d start positive and ask, ‘”What was something fun in middle or high school — some activity that you liked?” Virtually none could recall even a single book they had read or class activity that they’d enjoyed. It all sort of vaporized. To us that was very telling. Q: What was the most surprising discovery? A: How fondly they remembered elementary school. About 82 percent said they’d enjoyed learning up through third grade. A: Yes, something like a third of the students mentioned bullying as part of their pathway to dropping out. One of them we call “Jack” in the book had been a very solid student, but once bullying started he began skipping. At some point he couldn’t take it any longer and lashed out at his tormentors, and he was suspended. There wasn’t any effort — from his perspective — to problem-solve around this bullying, and it continued. So his perception was, the school does not care about me. And he just stopped going.